At the beginning of August she announced in quiet triumph that she had finally discovered the perfect recipe. She had thawed eight wild ducks that Luke had killed the previous winter. The stock she made from the discarded duck bones and parts was dark as chocolate and its flavor was wild and sun-charged but slightly overpowering. She cut the wildness with a little red wine and a dash of cognac. She then sat down for an hour and thought about everything she knew about the flavor of wild duck. She cooked the ducks slowly with turnips and onions and tart apples and scuppernong grapes from the arbor. She considered the mysteries of balance and proportion in a perfect meal. When we sat down to dinner, we could sense her apprehension. She was worried about the grapes. She had consulted no cookbooks; she had cast off into the unknown without her copies of Gourmet to guide her. Using only what she found in her larder, she was on her own. I was worried about the turnips but my mother assured me that wild duck was the only meat she knew of capable of holding its integrity against a turnip. That bothered me not at all; I simply hated turnips. But the fruit cut the bitterness of the turnips and the turnips played their role flawlessly by diminishing the cloying sweetness of the grapes. The meat was the color of wild roses and even my father ceased his nightly lament on the joys of fried food and ate with silent gusto. It was my mother's own creation, it was marvelous, and we stood and gave her a standing ovation after the meal was finished. It was her seventh standing ovation of the summer. 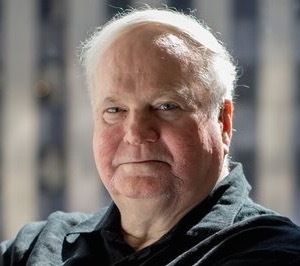 The following article, with the above quote from Pat Conroy's The Prince of Tides, was written for my column for the LA Times Syndicate many years ago: Pat Conroy is my favorite contemporary writer. When I read this poignant passage from his most recent novel, The Prince of Tides I considered it to be the most exquisitely enticing culinary prose I had ever read and became intent upon reproducing the recipe. The very words scuppernong grapes resounded with magic that I had to know first hand and the phrase "the meat was the color of wild roses" all but sent me into anticipatory culinary ecstasy. So I wrote what is probably my very first fan letter and a year later when I still had received no response, wrote again. It was then that I discovered the full brilliance of Conroy's imagination. His wife Lenore called to tell me that they hadn't responded in all this time because they could not decide who should be the one to tell me that the dish never actually existed. [Note: Pat told me that his mother was not much of a cook and her speciality was frozen fish sticks!] Lenore did, however, invite me to dinner and, in the end, I was so glad I had written those letters because even though I did not end up with the recipe I had so single mindedly pursued, I did find the friendship of two very special people that I treasure far more. I tried to reproduce the imaginary dish, and although the turnips in the rich brown sauce prepared from home made chicken stock were the most delicious I had ever experienced, my tasters and I all agreed that the best way to eat duck is roasted, with moist flesh and crispy skin.